If you are a health care facility that has a need for highly qualified Registered Nurses and LPN's of all specialties, NursesToGo is available to work closely with you in filling your needs. 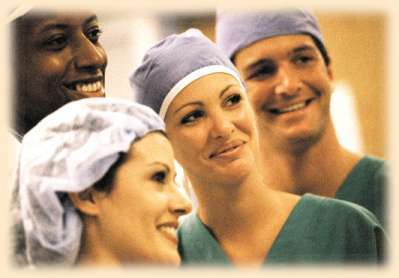 We maintain and leverage a large database of registered nurses in the United States. NursesToGo develops additional supply sources of nurses for our clients through our international recruitment efforts. Immigrant nurses have all the necessary work permits required by INS before they can report to work, and no sponsorship fee or waiting period is required. Our corporate counsel is available for any question you may have and can also assist your internal needs at low cost with great results. To make certain you will have the right person for your particular need, NursesToGo will test, screen and qualify all our nurses prior to submitting their credentials to you for consideration. Nurses & Employers worldwide 425 320 1363. Orientation by our in-house Director of RN. In-house training before reporting to work. Continuity of quality patient care at all times. Coverage for vacations, long and short leaves of absence. Staffing according to workload fluctuation. Copyright © 2002-2005 NursesToGo.com. All rights reserved.